So many food blogs....so little time! I just want to have some giant meet and greet, where all the bloggers can meet face to face.... food to food. Oh well, keep dreaming for now, I will be satisfied with foodie friends and those juicy comments that give me a thrill every time I read one. Does that make me vain? Comments are now the highlight of my middle aged life. weird Has blogging become my only social outlet? yes My husband says I have left him for my food blog. it's true It's not that bad....well, all I do is dream about tricky fun names for blog posts, creative comments for foodie friends, snap endless photos of food.. in the rain, snow, and extreme heat and wonder what will I name my newest cake creation? by the way, the newest cake creation will be called...Blackberry Bramble Corn Cake. (& shhh, you are supposed to keep it a secret until it's posted). Today, I am really going out on a limb. Shaking things up a bit. I have chosen to write a double blog entry. 2 recipes in one blog, can you stand the excitement? Normally I only try to do one recipe in a post, so things don't become deluded BUT...it was one of those days where I went cooking crazy..barely spoke to my husband or children and forgot to shower. However, to my credit, I did whip up some fantastic Blueberry Lime Cream and tasty Kamut Crostini topped with Kalamata Tapenade, fresh sheeps milk feta and a heirloom tomato cucumber salad. Like our children wished we would do... I will start with dessert first! 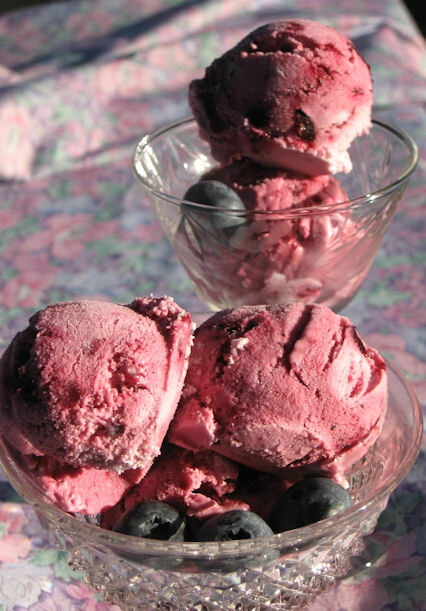 Homemade blueberry lime ice cream. 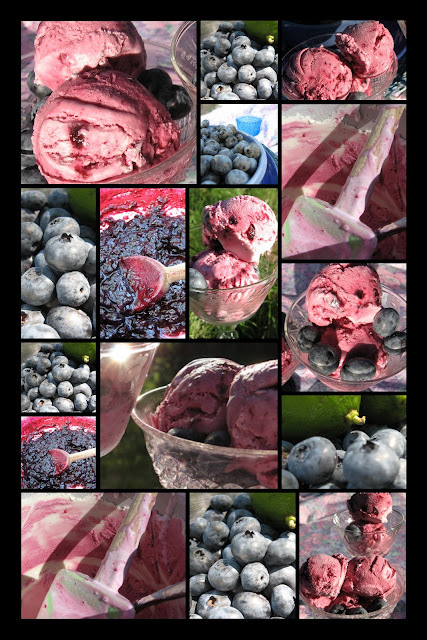 I wanted tart, sassy, lip puckering, purple maddening, stain your white shirt blue ice cream. This ice cream lives up to it's description. Directions for making blueberry lime mixture: Place pint of blueberries and juice of 4 limes into heavy bottomed pan. Mix in the 3/4 cup sugar. Turn burner on and simmer mixture until thickened. You do not want this juicy, that could muck things up for you later on. You want it like a nice jam-like consistency. Let cool completely on an ice bath. Making the ice cream: Mix heavy cream and half and half along with the sugar in a large bowl. Whisk vigorously. Place cream mixture into ice cream maker and turn on. Let maker spin for 20 minutes and then pour the berry mixture through the top. Let machine spin for another 10 minutes, scoop soft ice cream into a freezer container and let freeze overnight. Kamut bread has a wonderful flavor. So making crostini with it only heightens the nutty taste and crunch. I purchased this loaf of bread from a Wood Fired Oven Bakery that I used to work at called, Cress Spring Bakery. Jeff, the owner of the bakery grinds his own flour every week. There is not a single spec of yeast in his bread, it is all made by sourdough starters. The whole process of this bread making is an art form and a labor of love. Line baking sheet with parchment paper. Turn oven on to 350. Slice bread thinly. Brush one side of bread with olive oil. Srinkle with salt and pepper. Turn slices over, repeat with olive oil, salt and pepper. Put in oven to toast, Check after 5 minutes. For denser bread it will probably take around 10 minutes for the first side to crisp up. Turn when side is browned a bit. The second side will not take as long. Keep an eye on the bread as it can darken quite quickly. Let cool, if not using right away, keep in sealed container. Place ingredients into the food processor. Pulse until finely ground. Place into serving bowl. Easy right? 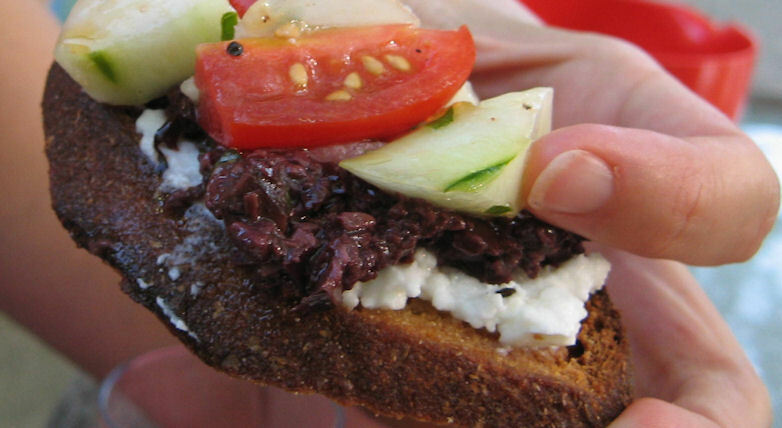 The above was topped with fresh sheep's milk feta, olive tapenade and marinated tomato cucumber salad. an ice cream maker in the basement gathering dust, that we might have to resurrect.! I said I wanted to try blueberry ice cream weeks ago and shall soon!!! Look yummy. 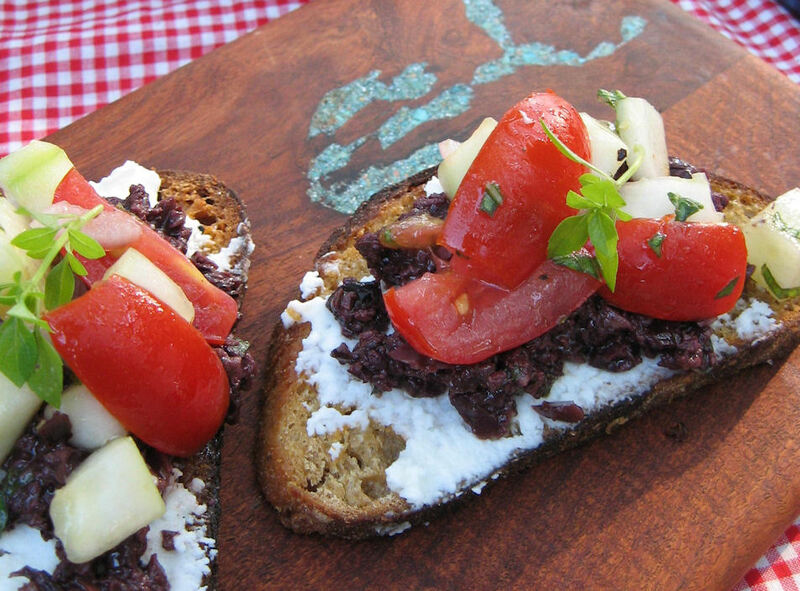 And that crostini certainly looks yum! That ice cream is a winner. Love that color! I've not tried kamut bread but what you have done with it sure looks tasty. Also, I sooo want that bread recipe! Any idea what the proportions are? Is it 100% kamut? Awwww....and I just used all of my blueberries (and blackberries too)in a pie. Oh well, I'm sure there are more at the market! Both of these recipes look delicious! Ah, how funny! I was just thinking of making a blueberry ice cream myself!!! I was toying with the idea of blueberry ice cream with lime syrup, or maybe lime sorbet with blueberry syrup... and my indecision led to making nothing. :) lovely recipe I am so glad you shared it! now you have got to play fair.....that blueberry ice cream with all that wonderful lime juice, must have been heaven, I would just devour it!!! 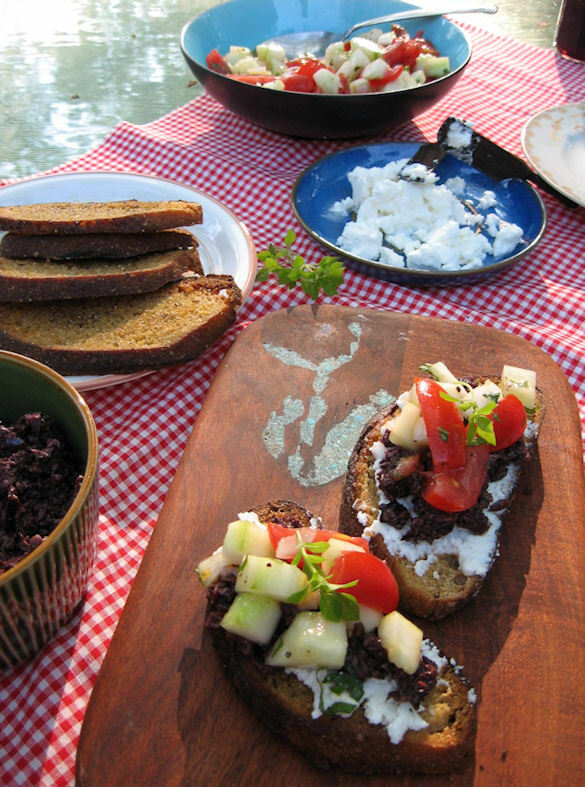 ......and then that incredible bread for your crostini....wow......I love tapenade and your crostini must have been amazingly delicious!!! 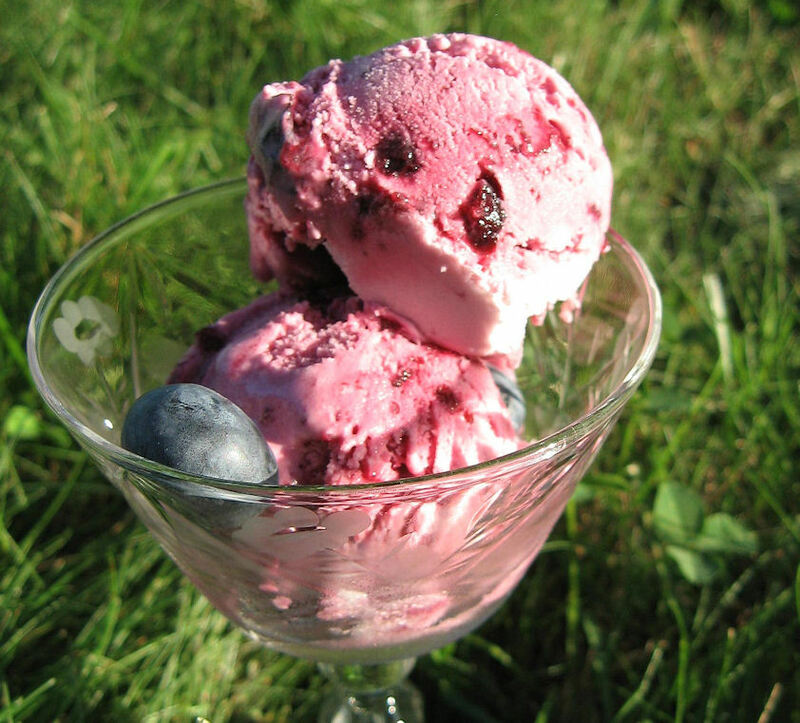 Oh, love that blueberry ice cream! I hear it calling me loud and clear! The rest looks delicious also! @ Becky - Hello and I hope you resurrect your ice cream maker! It's summer time... ice cream time! @ Sommer J - I am glad there are other foodie mom's who are obsessed with blogging... the family is always happy once the food is on the table! 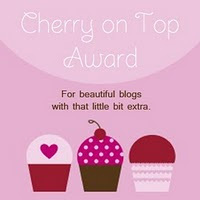 From a fellow blogging addict! The ice cream looks amazing! I spend way too much time on my food blog too. Our husbands are food-blog widowers, it would seem! I have kept bringing all kinds of different berries from supermarkets these days...just got some blueberries and gooseberries ! Ha! I might try your stain-your-shirt blueberry ice cream! It looks divine! Just checked wikipedia about Kamut wheat, and I realized that I never had kamut bread. Hope I could find it here in Germany. Yum!! That looks amazing! Interesting menu, for sure:) Flavor-bursting deliciousness. Wow! This whole post looks amazing. And I just went blueberry picking yesterday! I think I might have to bust out the ice cream maker soon! Yay! Great photos! 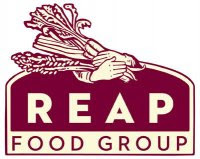 Jacob, I like geeky foodie clarification.. you are correct... thank you for the tip! I don't think I've ever tried tapenade, but your pictures make me want to give it a try. Thanks! the blueberry Lime ice cream looks heavenly but honestly...I could really enjoy the Kamut Crostini. Very creative use of a good healthy grain! Hi there! This recipe sounds delish and I was hoping that you might add it to my Easter and Spring Linking Party to share with my readers. If you are interested, you can go here http://bakedbyjoanna.blogspot.com/2011/04/easter-linking-party.html to enter. Thanks!